Rawhide Event Center prepares for another spetacular two day Valentine’s themed extravaganza in Chandler, Arizona. Relentless Beats and Insomniac are bringing you some the best producers and performers to this year’s Crush. 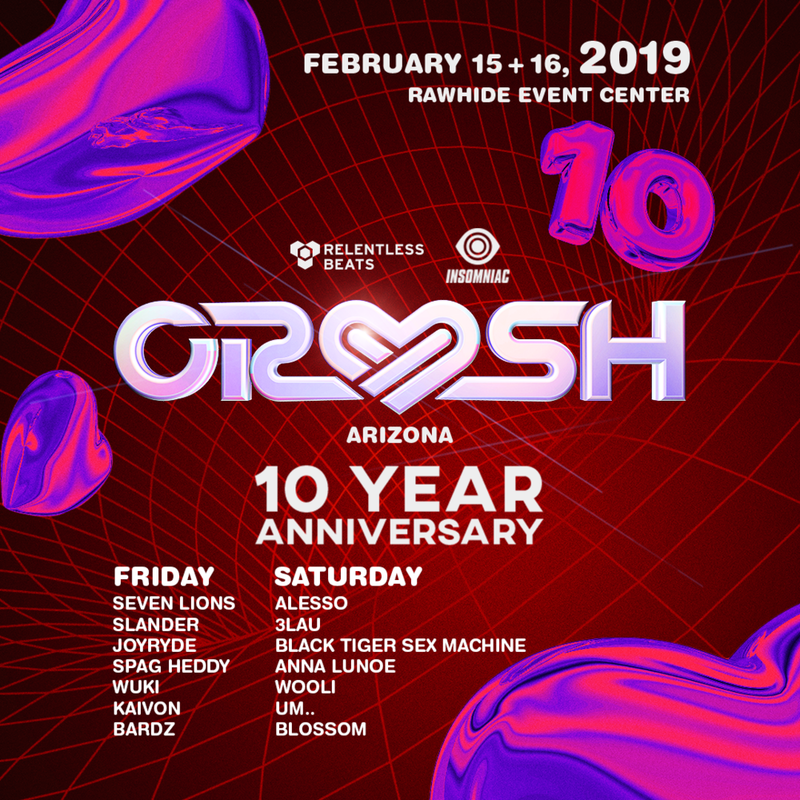 This will be the 10-year anniversery for Crush and will host Seven Lions, Alesso, and Slander. More artists to look out for at this show are Joyryde, 3lau, and Spag Heddy. Doors open at 6:00 and is for ages 18 and up. Get your tickets here.